Choose from our range of Seasonal Doormats with designs and phrases to suit the time of year. We have many designs ready created for your or why not create your own unique message with our Personalised Doormat. 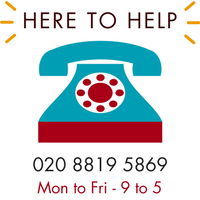 Call us for advice if you need help placing your order, we have lots of experience in recommending the right thing for our customers' homes.